Mladá Boleslav / Paris, 1 October 2018 – At the 2018 Paris Motor Show, ŠKODA will be presenting itself not just as sporty and sustainable, but also as a mobility services provider. 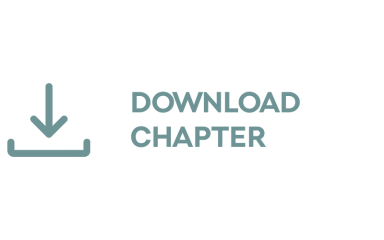 The Czech brand is inviting the show’s visitors to a special digital experience from 2 to 14 October: At the ŠKODA stand in the User Experience corner, they can go through a fictional day as an avatar that they have created themselves and be guided through tailor made digital offers. 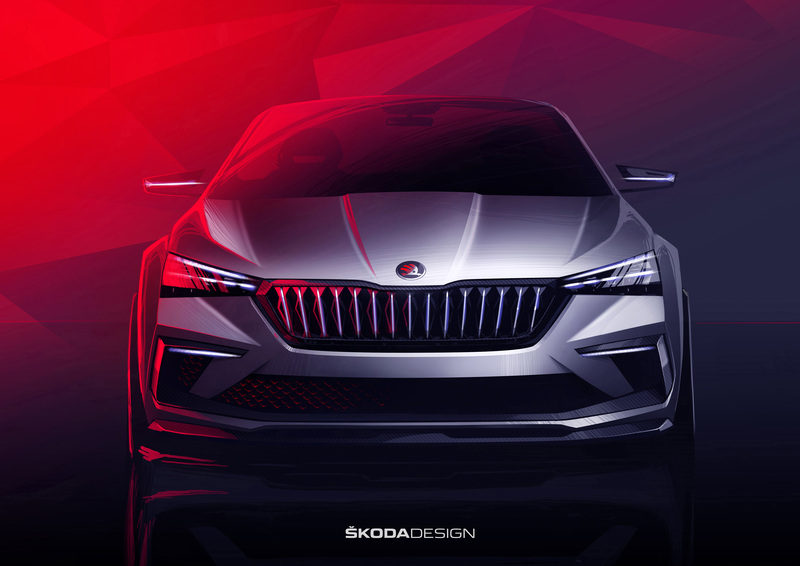 With the VISION RS concept study ŠKODA offers a look ahead in Paris, presenting a future compact car and the next stage of development for the sporty RS family. A family that now includes its first ever SUV – the ŠKODA KODIAQ RS. The SPORTLINE and SCOUT variants expand the range for the ŠKODA KAROQ compact SUV. 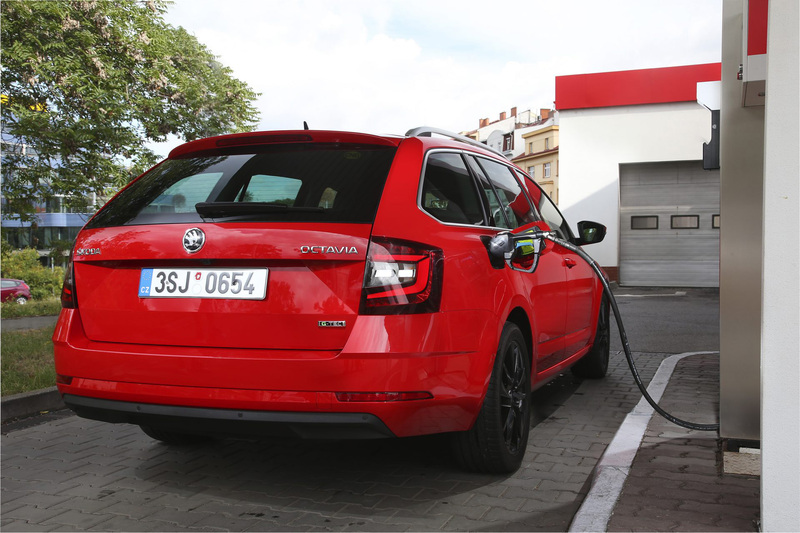 The ŠKODA OCTAVIA COMBI G-TEC is more powerful and offers a greater range when running on environmentally friendly natural gas (CNG). Developing ŠKODA AUTO from an outright car manufacturer into the ‘Simply Clever company for the best mobility solutions’ is an important part of the ŠKODA 2025 Strategy. At the 2018 Paris Motor Show from 2 to 14 October, the Czech brand will be demonstrating how the driver and their environment are becoming evermore closely connected. At the ŠKODA stand, visitors to the show will be able to experience technologies and services virtually which make everyday mobility easier. In the User Experience corner, the visitors can create an avatar and equip their digital alter ego with their own characteristics and needs. Using short videos, the avatar guides the visitor through a fictional day which is made easier by innovations and mobility services from ŠKODA AUTO DigiLab. The continuously growing car-sharing platform HoppyGo, for example, is already one of the biggest in the Czech Republic. It offers its ever-increasing fanbase a flexible mobility service that can be arranged easily and conveniently using a smartphone app. 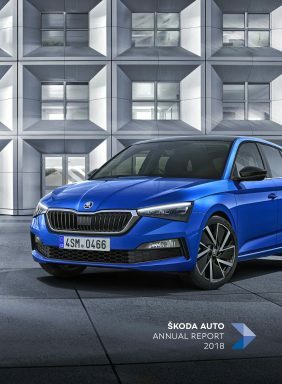 In addition to the ŠKODA Connect app, ŠKODA drivers can use the ŠKODA Connect Alexa skill to find out information about their car by asking the Amazon Alexa Voice Service simple questions from the comfort of their living room: whether the doors are locked and the windows are closed, for example, or how much fuel is in the tank and where their ŠKODA is parked. 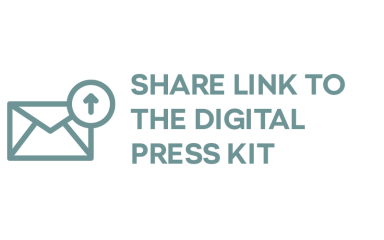 In addition to German and English, the ŠKODA Connect Alexa skill is now also available in French, and will soon be offered in Spanish as well. The integration of Smart Home on the other hand, allows users to check on their connected home from their ŠKODA vehicle. ŠKODA drivers can conveniently monitor the status of various Smart Home devices – for example, whether the lights have been left on in the kitchen or whether the windows are closed. 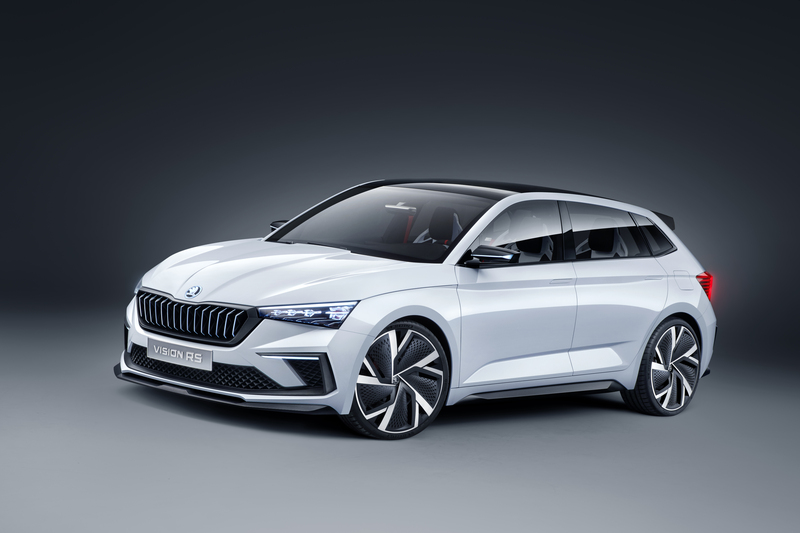 The ŠKODA VISION RS concept study demonstrates how ŠKODA envisages future sporty RS models and also a future compact vehicle. The ŠKODA VISION RS combines the sportiness of an emotive new design language with a high degree of sustainability by using recycled carbon fibre and vegan materials, for example. Apart from by carbon fibre, a high-tech material that is well known from motorsport, the interior is also dominated by cut crystal glass that is illuminated and animated. The electric powertrain guarantees driving dynamics and efficiency. The plug-in hybrid drive concept combines a 1.5-litre petrol engine (110 kW / 150 PS) with a 75-kW electric motor and provides a total power output of 180 kW (245 PS). CO2 emissions of just 33 g/km underline the drive system’s sustainability. The ŠKODA VISION RS can travel up to 70 km purely electrically and therefore without producing any emissions. The new ŠKODA KODIAQ RS, on the other hand, will soon enter series production. The first SUV to feature the new, red RS logo comes with a 176-kW (240-PS) diesel engine, the most powerful production diesel in ŠKODA history. Setting a lap record of 9 minutes 29.84 seconds for seven-seater SUVs on the Nürburgring’s Nordschleife, the ŠKODA KODIAQ RS has proven its sporty capabilities in impressive style – even before its world premiere in Paris. 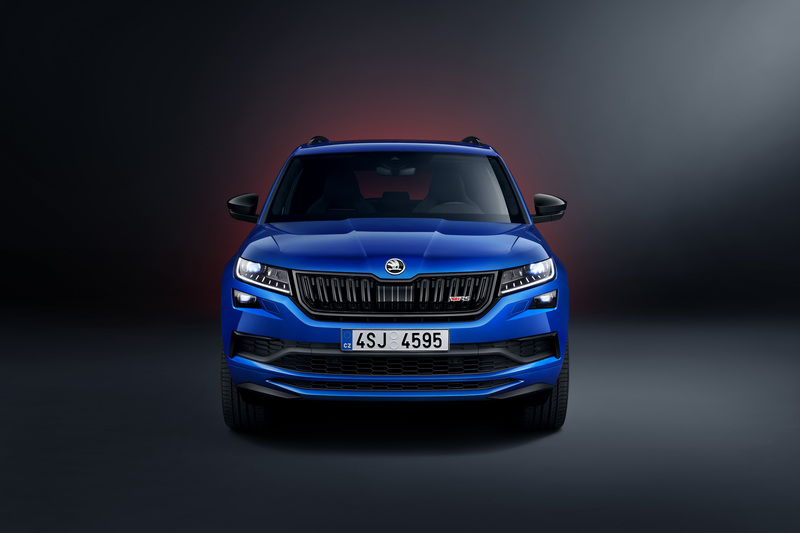 The ŠKODA KODIAQ RS comes with RS-specific design features, including new bumpers and gloss-black elements such as the radiator grille, window frames and wing mirrors, as well as full-LED headlights. Standard equipment for the sporty SUV also includes all-wheel drive, adaptive Dynamic Chassis Control (DCC) and progressive steering. 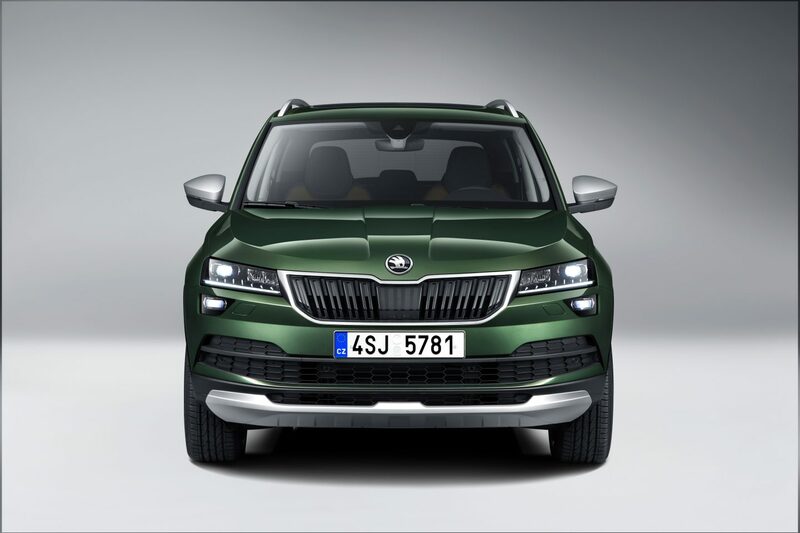 The KODIAQ RS is also the first ŠKODA model to come with 20-inch alloy wheels and the new Dynamic Sound Boost as standard. The latter complements the natural note of the engine and refines its sound profile. The interior is shaped by sports seats with perforated Alcantara® and carbon leather as well as by the virtual cockpit. 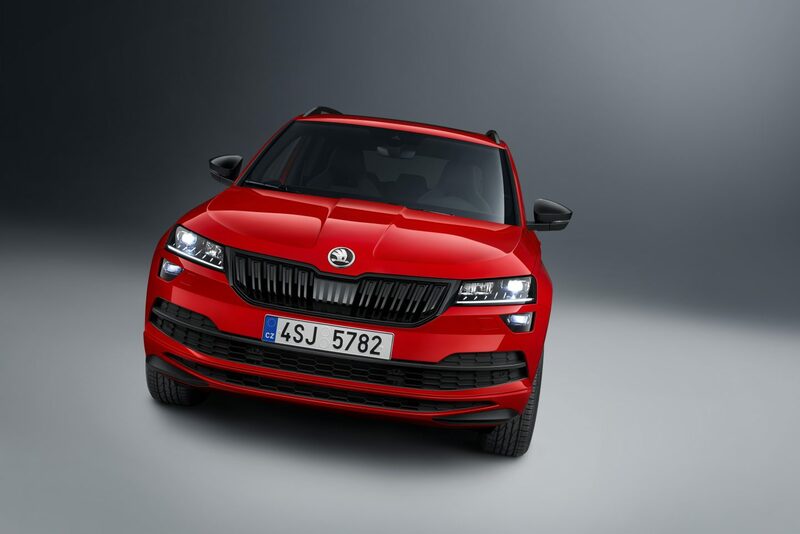 The new ŠKODA KAROQ SPORTLINE also has a sporty appearance. Launched in 2017, the versatile compact SUV is now available in this new variant for the first time and exclusively with a 2.0 TSI engine (140 kW / 190 PS). As a SPORTLINE, the KAROQ’s emotive design is even more refined and numerous black elements underline its dynamic appearance. Black sports seats with an innovative fabric cover and contrasting silver-coloured stitching add to the sporty feel of the interior. The ŠKODA KAROQ SPORTLINE is available with front- or all-wheel drive. There is a choice of two petrol and two diesel engines, which produce 110 kW (150 PS) or 140 kW (190 PS). The ŠKODA KAROQ SCOUT is taking on the role of the new adventurer in the KAROQ range. This new off-road variant comes with all-wheel drive as standard for all engines and sports a more rugged design. Silver-coloured plastic elements provide all-round protection for the elegant body in the city as well as on rougher terrain; chrome strips surround the radiator grille and side windows. Under its distinctive wheel arch covers, the SCOUT features 18-inch or optional 19-inch alloy wheels. The interior is equipped with Piano Black features, decorative strips in a dark ash-wood effect and seats with new covers and contrasting stitching. Two diesel engines delivering either 110 kW (150 PS) or 140 kW (190 PS) or a 1.5-litre TSI petrol engine (110 kW / 150 PS) do the job under the bonnet. The ŠKODA OCTAVIA COMBI G-TEC comes with a new, more powerful 1.5-litre TSI engine (96 kW / 130 PS). Running on CNG reduces CO2 emissions by around 25 percent compared to petrol. In addition, significantly less nitrogen oxide (NOx) is emitted and there are no soot particles. The OCTAVIA COMBI G-TEC is exclusively available as a COMBI and in the Active, Ambition and Style trim levels. It complies with the currently strictest EU6d-TEMP emissions standard and achieves a range of 480 km when travelling purely on environmentally friendly natural gas. Its three CNG tanks have a combined total capacity of 17.7 kg. An 11.8-litre petrol tank ensures mobility in regions with no natural gas fuelling stations.